Organise your handwritten notes with a single click with SCRIBZEE! File your handwritten notes by topic or subject. Find them in just a few seconds. View them anywhere and at any time. It couldn’t be easier with SCRIBZEE®, the application which connects with your notebook! Lessons, meetings, group work or reflection on a project… in our daily student or professional lives we regularly have to take notes. However, once the page has been turned they remain confined to the paper, and are likely to stay there. Not to mention the moment when you start a new notebook and the old one is quite simply, forgotten at the bottom of a drawer. Result: when it comes to revising from them or to progressing with a project, things get complicated! And this is even more true if you work with loose sheets or a notepad or if you use several products to take your notes. You then have to look through dozens of scrawled pages or rummage through your office in search of the precious notebook… a waste of time and efficiency, for which SCRIBZEE® now provides a practical and novel solution! Using your SCRIBZEE® application, scan your notes cleanly and simply, page by page, using your smartphone or tablet. You will obtain a high-quality finish similar to that of a traditional scanner. Then, with a simple click, create a specific folder in the application, which you can name, for example, “Monday meeting”, Project meeting English coursework … you just have to organise your files by subject. 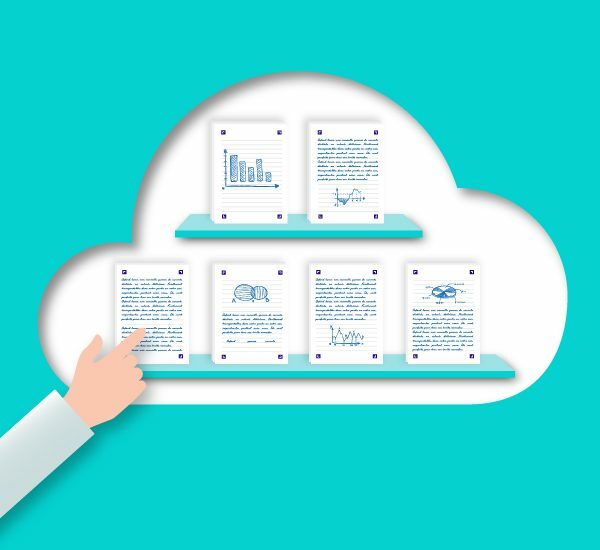 Hosted in the Cloud provided free-of-charge by SCRIBZEE®, your notes will follow you everywhere. They can be viewed at any time via your SCRIBZEE® account, on all mobile devices and, in the near future, on your desktop computer. So, in response to the questions “What did we say the other day about this project?” or “What work did the teacher talk about in his last lesson? ”, you’ll always have the answer at your fingertips. Even if your pages of notes have been left at home! Previous Post:How can I edit a note?